Great for creating inkjet transfer for DARK T-shirts, mousepads, caps and more! remove cover sheet once completely cool. 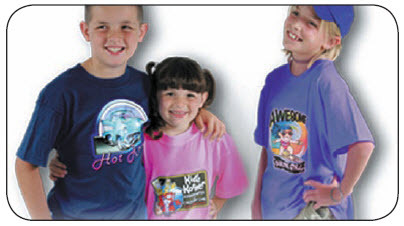 Great for dark colored 100% cotton, 100% polyester, poly/cotton blends, fleece and nylon. T-shirts, mousepads, caps and more!